'Capt. 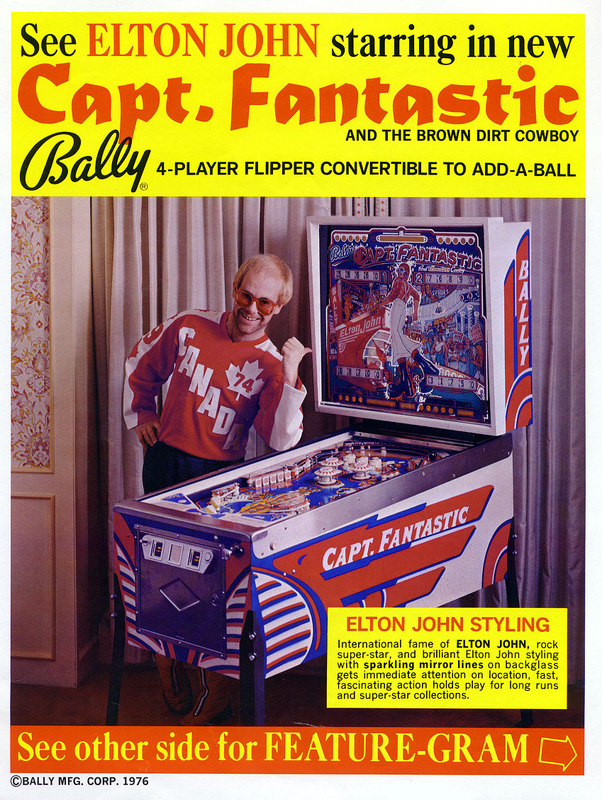 Fantastic' was inspired by the movie 'Tommy' and includes a representation of Elton John, as his character from the movie, playing pinball on the backglass. This classic 1970’s art “piece” will look great in your home! The cabinet has been freshly painted. LEDs have been installed throughout the top of the playfield and the head. New rubbers all around and freshly polished playfield. All mechanics have been tested and verified. Score reels have been cleaned and function well. Brand new drop targets, thumper caps and freshly rebuilt thumpers.